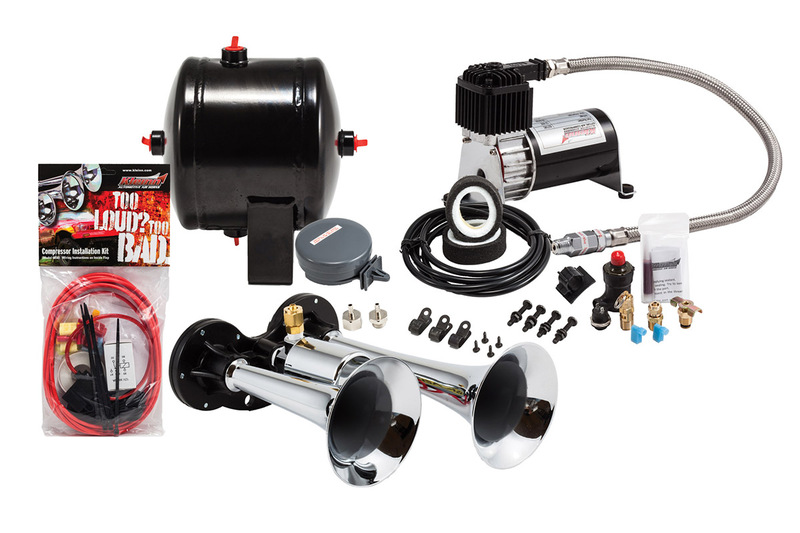 Complete dual air horn kit includes a super-compact chrome dual horn, with a 120 PSI air system. The kit is easy to fit in virtually any vehicle. The horn has chrome plated 8.5″ and 6.5″ trumpets that produce an extremely loud piercing blast that will rattle your brain!